2017 PhD, Education, University of Illinois at Chicago (UIC). 2011 MA, Art Education, The School of the Art Institute of Chicago (SAIC). 2003 BFA, The School of the Art Institute of Chicago (SAIC). Thesis installation: Mantle, Gallery 2, Chicago. Rachel Harper, PhD is an artist, philosopher, and educator in Chicago. She currently teaches art and music in the College of Education at DePaul University and leads the Teacher Institute at the Museum of Contemporary Art Chicago. Rachel consults nationally on arts program development, curriculum design, and pedagogy education for museums, schools, school districts, universities, and artist projects. She is currently working on projects regarding humor and play in schools, reverie experience, justice, studio arts, early childhood nurturing praxis, self-education philosophy, peace curricula, and the intellectual rights of children. 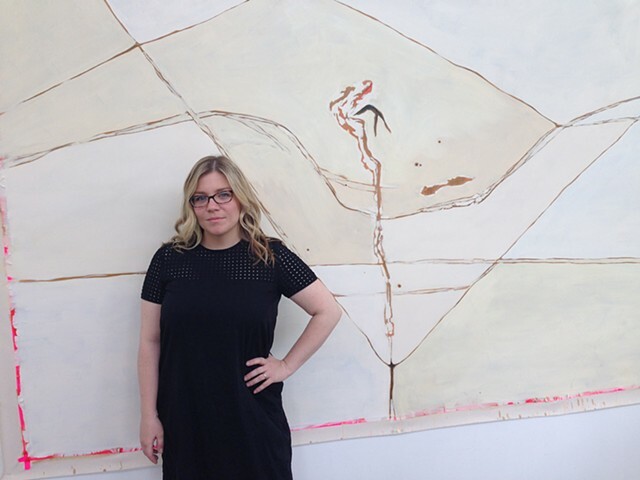 In the past, Rachel has taught in the galleries of the Art Institute of Chicago, in the College of Education at the University of Illinois at Chicago, at the School of the Art Institute of Chicago, at the Block Museum at Northwestern University, and at the Francis W. Parker School in Chicago. She has mentored youth in the arts and arts administration through partnerships with Chicago's After School Matters and Marwen, and served as a curriculum specialist for the Chicago Public Schools, Family Life and Sexual Health. Rachel is founder of Seen + Heard, an artist project advocating for the cultural works of people age 0-12. She is currently developing the project in a residential studio inside a Chicago Public Elementary School, where she works alongside c. 600 child colleagues. Recent Seen + Heard exhibitions are: Treats, 2016, at Chicago Art Department, with Ada Grey, and PUBLIC SCHOOL, 2017, at the Hyde Park Art Center, with Jim Duignan and Stockyard Institute. In the past, Seen + Heard projects have been supported by Chicago Art Department, the 3Arts Foundation, the Art Institute of Chicago, the Ragdale Foundation, and the Chicago Department of Cultural Affairs and Special Events. Rachel's audio work and music have been performed in Chicago and New York, she performs and exhibits visual art in national group shows, and she presents research at national conferences. She is recipient of a 2017 Stonewall Honor Book Award from the American Library Association, the 2015 3Arts Teaching Artist Fellowship from the Ragdale Foundation, the 2012 Ann Lynn Lopez Schubert Memorial Fellowship in Curriculum Studies (UIC), the 2011 Master of Arts Fellowship in Art Education (SAIC), the 2006 Friends Fellowship from the Ragdale Foundation, and the 1999 James L. McCrimmon Award in Writing. In addition to support for Seen + Heard, Rachel is also recipient of grants from the Leopold Schepp Foundation, UIC, SAIC, Stockyard Institute, the Mary Averill Fisk Foundation, and the School of the Arts Foundation. Harper, R. L. S. & Ross, L. (in press). View from the gap: The Teacher Institute at the Museum of Contemporary Art Chicago. In D. C. Ketchka, & B. S. Carptenter (Eds. ), Professional development in art museums: Strategies of engagement through contemporary art. Reston, VA: National Art Education Association Press. Cosier, K., Harper, R. L. S., Sapp, J., Sokolower, J., Temple, M. B. (2016) Rethinking sexism, gender, and sexuality. Milwaukee, WI: Rethinking Schools. Harper, R. L. S. & Lucero, J. (2015). Subject matters of the arts. In M. F. He, W. H. Schubert, & B. D. Schultz (Eds. ), Guide to curriculum in education. Thousand Oaks, CA: Sage Publications. Harper, R. L. S. (2014). Untitled (Love songs, for Professor Ward Weldon). Visual Arts Research, 40(1), 66-67. Harper, R. L. S. (2013). Shape of the wound: Restorative justice in potential spaces. Journal of Curriculum Theorizing, 29(2). Harper, R. L. S. (2013). Within the simultaneous genealogies of curriculum history. The Sophist’s Bane: Journal of the Society of Professors of Education, 7(1).